We are Calvert County’s trustworthy and reliable full tree servicing company. Our experts are professionally trained and certified to care for the trees on your property. We will visit your home or business and identify hazards that could prove devastating if a storm strikes. Any deadwood, weak or dead trees, dense and thick growth can threaten your property and cost you thousands. Just having a professional trim your thick and overgrown trees, allowing the wind to blow through them, lessens the possibility of any damage or harm. Allow us to get started, and save you from potential damage to your property. Pruning is an essential part of good health care for trees and plants. Pruning discourages disease and pest infestation. It also enhances the appearance of your trees and promotes proper growing characteristics. Our crews are experienced and take great care when pruning your trees and shrubs. Storm damage to trees on your property is can pose a serious risk to not only your own home but also to your neighbors’ homes, and your business location or clients. Trees damaged by a storm should be dealt with as quickly as possible to avoid any further damage or injury. Call the professionals to get the job done quickly! We are the most trusted company in Huntingtown to remove trees that are no longer wanted or are in danger of damaging property. 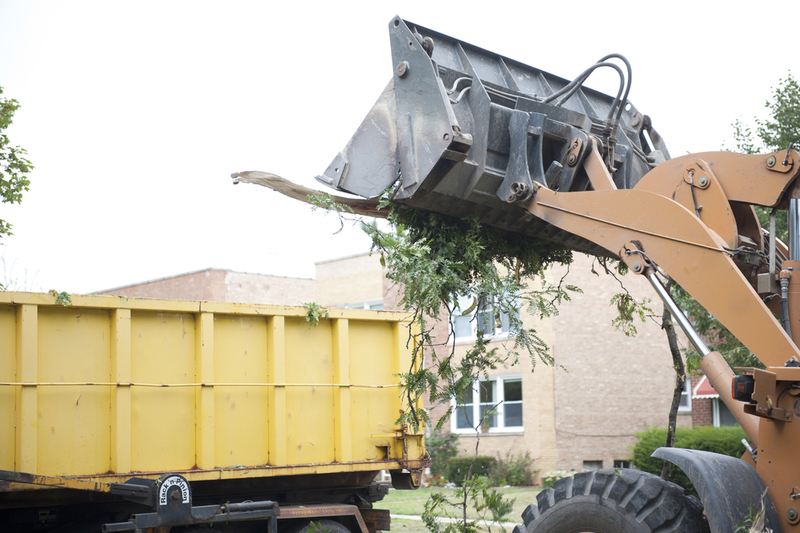 With our Aerial Lifts, Chippers, Stump Grinders, and professional staff, Calvert County Tree Service is always the right choice for quality assurance, fair pricing and great customer service. Calvert County Tree Service provides reliable, honest tree services throughout all of Calvert County. We are fully licensed, insured and provide top quality tree services with great pricing to match. It is very important for us as tree care takers to know that your trees are being cared for in the right way. Our certified arborists are the best in town and will give you their honest and professional advice on every project. Contact us to schedule your next appointment. Their prices are affordable and they are super friendly! I will definitely be using their tree trimming services again!